This is one of the other Song Kee on our shore and this particular one is related to the other Song Kee along Upper Serangoon Road and also that one at Thomson Plaza. They are not directly related to the other Song Kee in Joo Chiat and Bishan. 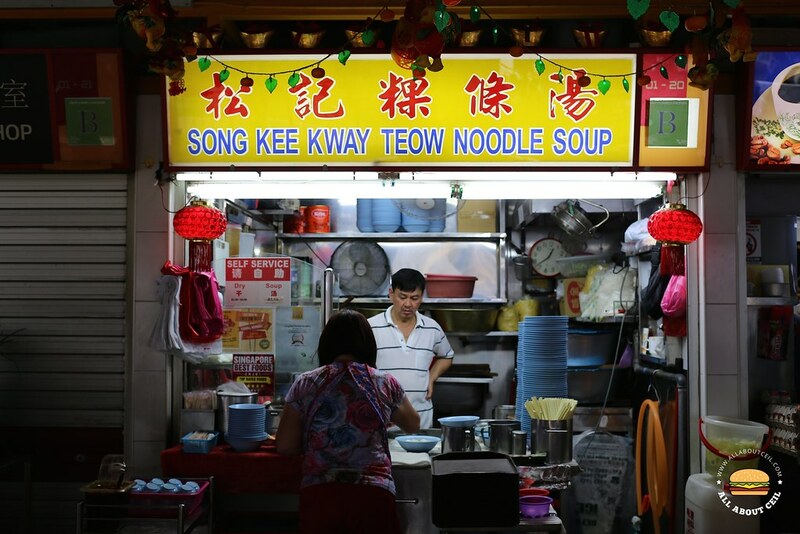 There is also another Song Kee in Ang Mo Kio operates by the daughter of Mr Chua Keok Sip, the father of the 3 brothers who run the Song Kee in Joo Chiat and Bishan. This particular stall has been around for about 16 years in this food centre. 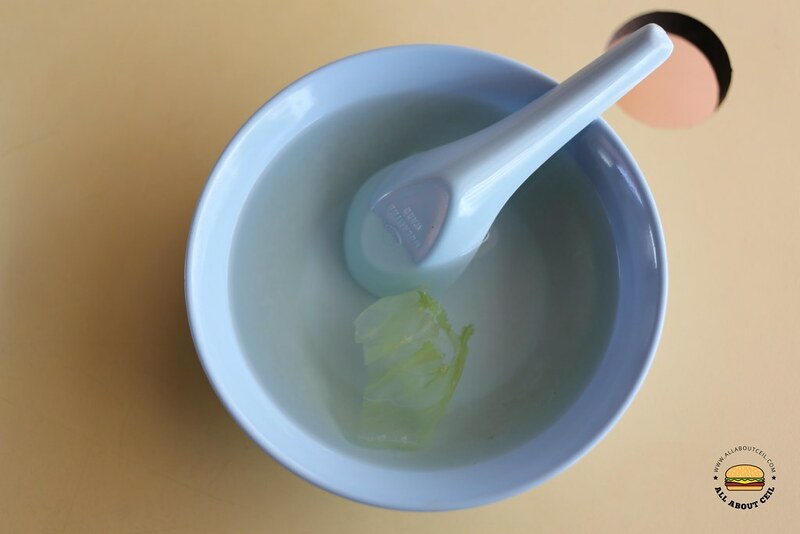 The option on menu is straightforward, the dry one at $3.50 or $4.50 and the soup at $3.50. They used to serve fish dumplings but no longer do so now. 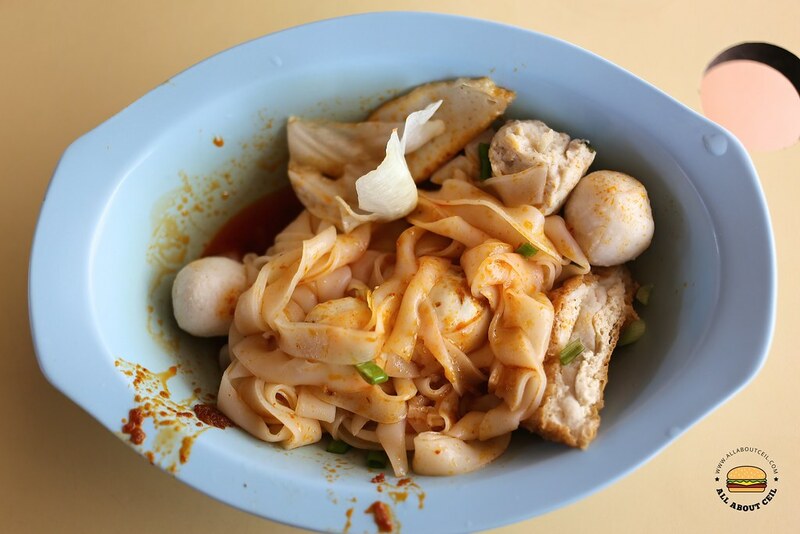 I ordered the $4.50 portion, opted to go with kway teow and requested for an extra amount of chilli to be added. 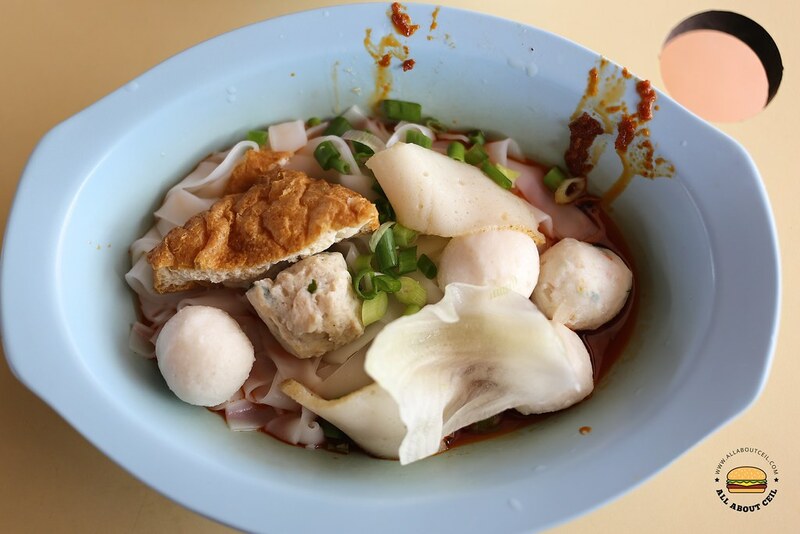 It consists of a piece of tau pok stuffed with fish paste, meatball, fishballs, and slices of fishcake. Having tried the other Song Kee, I would not consider this is the best amongst of them. The sambal chilli tasted quite familiar and it added flavor when mixed with the nicely cooked kway teow. It is not particularly spicy though, a little oily but still acceptable. I did not find those handmade fishballs to be any special, same with the meatball and stuffed tau pok, it was still quite enjoyable nonetheless. They were very good in the beginning. But standard dropped over the years. There's also another one in Simei but I've not been there for 2 years already.